Come February 16 would mark the farewell of the rooster from 2017. The 10th Chinese zodiac, of course, will make way for the man’s best friend to usher the Year of the Dog. The particular date also signified the first day of Chinese New Year celebration. Likewise, no Chinese New Year would be complete without the inevitable snacks on the table. Here is the list of 8 popular Chinese New Year snacks often found upon visiting a relative or a friend’s home. 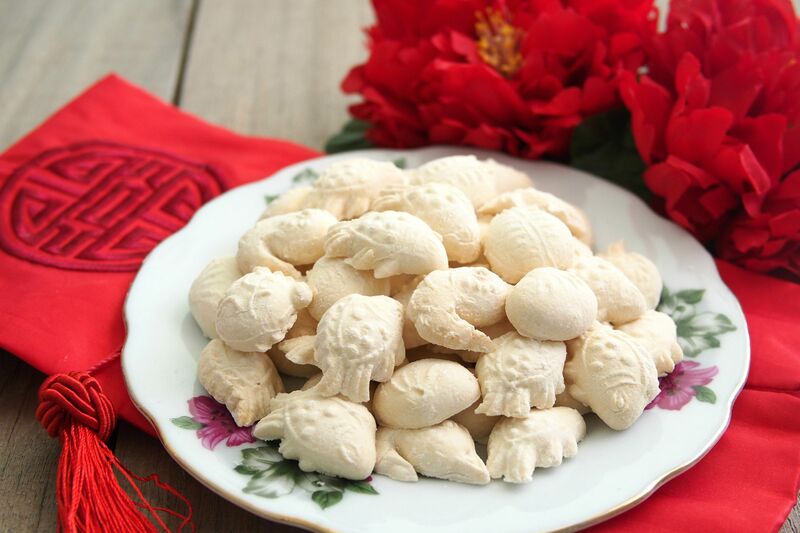 These sweet and delectable cookies are no doubt a staple during the Chinese New Year celebration. After all, the pineapple is considered an auspicious symbol. In Hokkien, this tropical fruit is also known as “ong lai” which literally means “fortune is on the way”. Back in the old days, homemade love letters are usually sold in the recycled Milo tins. They come in either folded or rolled shapes. 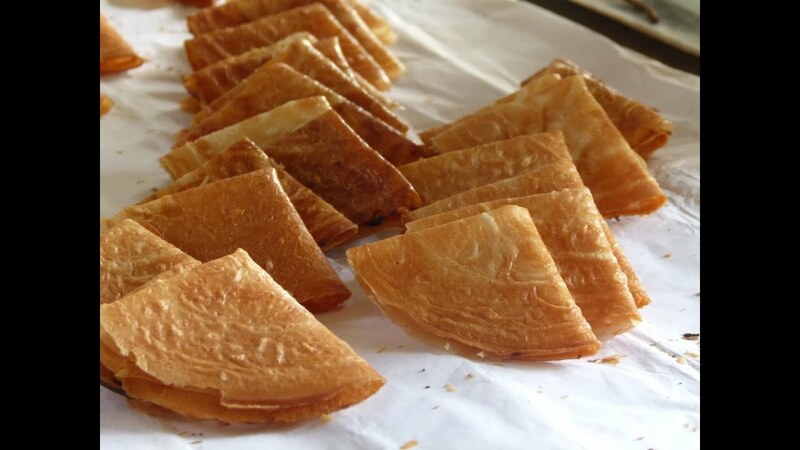 Also known as “kuih kapit”, these fragrant and crispy snacks are typically made from eggs, flour, coconut milk and sugar. Who doesn’t love to get a bite of the smoky and savoury bak kwa? Bak kwa, a Hokkien word for “dried meat”, is grilled over the charcoal fire using sliced or minced meats. The most common flavours often found in the specialised shops or stalls are pork, chicken and beef. Bak kwa also tends to be pricey, mainly due to its once-in-a-year high demand during the Chinese New Year period. Crunchy yet addictive, peanut cookies are often synonymous with Chinese New Year celebration. But what makes peanut cookies among a popular choice in the Chinese culture? The answer lies on the peanut itself, which symbolises longevity. These white, powdery cookies are also known as tapioca or coconut cookies. They are usually made from egg, sugar, tapioca flour and coconut milk. Kuih bangkit is available in different shapes such as floral and animal shapes. Otherwise known as ngaku chips, these bite-sized snacks are hugely popular during the Chinese New Year period. Like potato chips, they can be addictive. 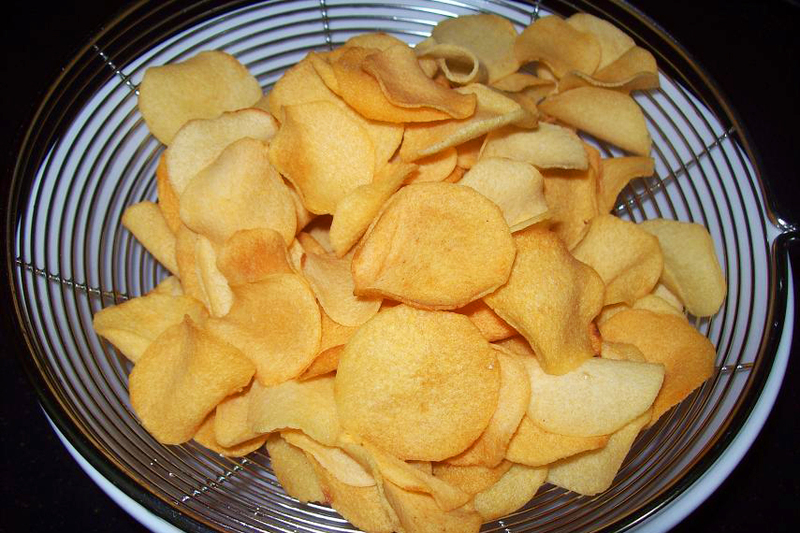 You can normally purchase the ready-made arrowhead chips sold in a plastic container. Alternatively, you can fry them at home using raw arrowheads bought from supermarkets. It definitely takes a lot of work since you need to peel the skin off one by one. Then comes the hard part: the slicing moments. If you slice too thick, you will risk your arrowhead chips lacking a certain crisp. Well, now you know why arrowhead chips don’t come cheap. Glutinous rice cake, kuih bakul… whatever you call it, nian gao is a sweet and sticky dessert usually eaten in steamed or fried form. Nian gao is also popular, due to the Chinese name itself which symbolises “a better year ahead”. They are tiny, they are crispy… and yes, they are seriously addictive! Trust us when we say this: once you take a bite, you probably can never stop. Which are your favourites? Share with us. Next articleGap Malaysia is Closing All Stores Nationwide!